made a little bit easier. An integrated service between Linnworks and your customer support. Your customers information, where it's needed most. Give your support team the tools to answer tickets smarter & faster. Instant search function for all open and processed orders. Perfect for your customer service phone calls. 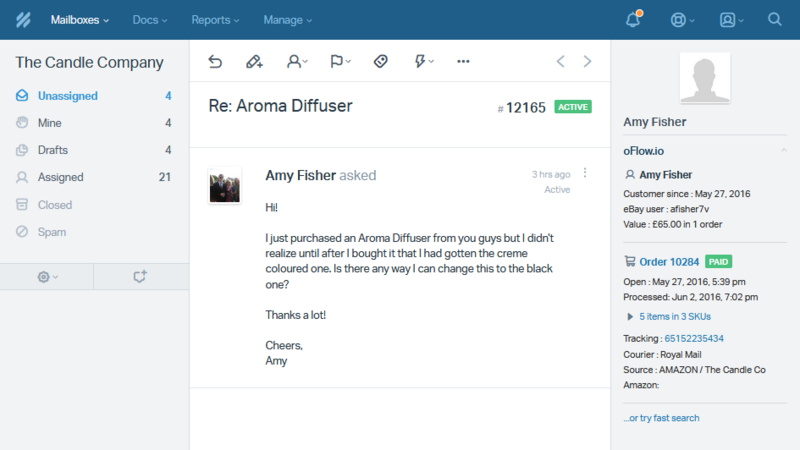 Display your customers order history directly in your help desk. Fully customisable with marketplace links. 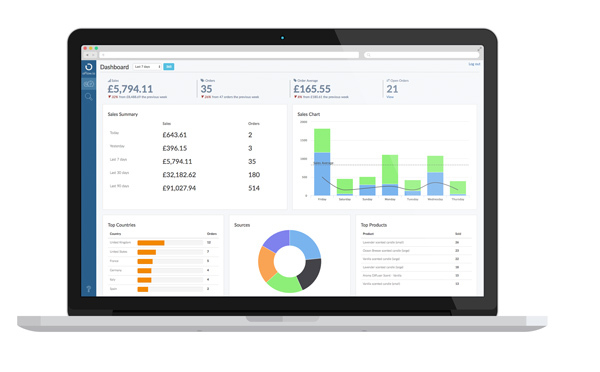 Keep an eye on your business from our consolidated sales dashboard. At a glance reporting, mobile friendly. Fully integrated parcel tracking with personalised updates for your customers from over 300 couriers . Customer data from ticket is used to pull back order history from Linnworks, instantly displaying it within the oFlow help desk app. Information in the app is fully customisable including everything from items, dates, sources, tracking numbers, addresses, reference numbers - almost anything that you would want to show. A single click from from here will take you through to the oFlow order page giving fast access to the entire order detail and customer purchase history. Easy access back to the source marketplace to perform tasks such as processing refunds, amending orders, checking payments, or anything else you need to do. 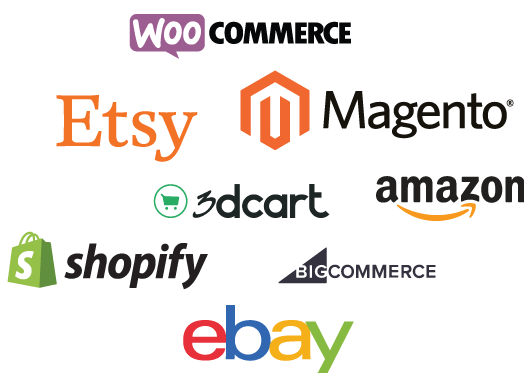 This feature is currently compatible with a range of markets including Amazon, Ebay, Shopify, Magento, Bigcommerce, 3dcart, Woocommerce. Put the simplicity back into searching. A google style search box to quickly find orders. Perfect for phone support staff and mobile friendly. Keeping an eye on your business is important. A graphical snapshot of your sales across all channels. Make sure everything is moving in the right direction and help to spot and act on any unusual activity. We know that you may not be office based so the dashboard has been made 100% mobile friendly. oFlow has some exciting developments just around the corner, including integrated parcel tracking and simple automated returns tracking. Our job is to make your lives easier. If oFlow is missing a tool that you think would help, get in touch and we can discuss your requirements. Serve your customers smarter. Try oFlow today.